Since more than 20 years AHF analysentechnik AG has been working on light sources and perfectly matched optical filters for fluorescence microscopy and spectroscopy. In cooperation with renowned manufacturers AHF offers customized solutions for spectral analysis to universities, research institutes and OEM partners. For 30 years, Anatrace has strived to develop and supply the industry’s finest products for protein science. Building on our portfolio of detergents and lipids, the addition of Microlytic crystallization tools and screens and our line of protein purification products allow us to fully support the entire structural biology pipeline. With the highest batch-to-batch consistency, we are the most trusted detergent source for extracting, solubilizing, stabilizing, and/or crystallizing macromolecules. Bio-Logic is the micro-volume leader for rapid kinetics studies. Bio-Logic has recently introduced the µSFM system, which delivers up to 10 usable shots from 100 µL of sample with near zero dead volume, with asymmetrical mixing ratios from 1:1 up to 1:9. Our wide product offer also includes the SFM-4000 stopped flow mixing family, our widely recognized micro-volume quench-flow (QFM-4000) and spectrometers such as the MOS-500 spectro-polarimeter that delivers auto-optimized performance from near IR to UV in CD, absorbance, fluorescence, and anisotropy modes. Come to meet us at the booth 25 to discover our products. Bruker systems cover a broad spectrum of applications in all fields of research and development and are used in all industrial production processes for the purpose of ensuring quality and process reliability. Bruker continues to build upon its extensive range of products and solutions, its broad base of installed systems and a strong reputation among its customers. Being one of the world's leading analytical instrumentation companies, Bruker is strongly committed to further fully meet its customers’ needs as well as to continue to develop state-of-the-art technologies and innovative solutions for today's analytical questions. Cambridge University Press dates from 1534 and is part of the University of Cambridge. Our mission is to unlock people's potential with the best learning and research solutions by combining state-of-the-art content with the highest standards of scholarship, writing and production. Visit our stand for 20% off all titles on display and to pick up free journal sample copies. Cancer Research UK is the world’s leading charity dedicated to cancer research and the largest independent funder of cancer research in Europe. We invest over £350 million each year in world-leading research that delivers progress across all cancer types. We work with partners - across academia and industry- to tackle cancer on a global scale and without boundaries between disciplines. Chroma Technology designs and manufactures optical interference filters using advanced sputtering technologies. Our high performance filters are intended for imaging applications ranging from widefield and confocal fluorescence microscopy, TIRF and super-resolution techniques to flow cytometry, high content screening, multi-photon and Raman spectroscopy. Chroma also provides comprehensive technical and applications support. Elements produces measurement instrumentation for current detection in the pico and nanoscale range. Elements single and multi-channel instruments are used in many university labs around the World for nanosensor analysis, pico-potentiostat and very low current detection, eg. current flowing through biological pores (ion channels) or solid state nanopores (artificial nanometer pores). Elements core technology for ultra low-noise signal detection is based on custom CMOS microchips, specially designed by the company engineers team. Thanks to the microchip approach, Elements instruments are the smallest and easy to use in their class, providing high quality performances at very competitive price. Manufacturer of commercial Optical Tweezer Systems with force measurement. Also miniature positioning stages. Also a leading distributor of photonics, cryogenics and materials characterisation systems, instrumentation and accessories. Fluidic Analytics develops next generation tools for protein science. Our new steady-state laminar flow platform allows proteins to be characterised in solution, under native conditions, quickly, cost-effectively and accurately. This platform brings together–on a single disposable chip–all steps of protein analysis, delivering a “sample in – data out” workflow that is rapid, simple and involves minimal sample preparation. Frontiers is a leading open-access academic publisher, with prestigious and well respected editorial boards. We provide rigorous peer review and fast publication. Our goal is to increase the visibility of research articles and their authors. Hamamatsu Photonics is a world-leading manufacturer of optoelectronic components and systems. The Company’s corporate philosophy stresses the advancement of photonics through extensive research and yields products that are regarded as state-of-the-art. All products are designed to cover the entire optical spectrum and provide solutions for a wide variety of applications including analytical, consumer, industrial and medical instrumentation. Developments in digital imaging continue to be made by the Hamamatsu Systems Division, most recently with the ORCA-Flash4.0 V3 scientific CMOS Camera. The range of solutions fit applications from routine microscopy through to the most demanding of imaging applications. As part of the HORIBA Group, HORIBA Scientific is in the unique position of having access to a vast range of technologies, R&D, and expertise. We offer a wide array of instrumentation covering many techniques such as Raman Spectroscopy, Fluorescence, SPRi, and Particle Size Analysis, for applications across the entire scope of biophysics. We are delighted to provide delegates with the opportunity to view multiple systems that showcase the strength and versatility of our product range. - The XploRA Plus is a fully confocal Raman Microscope, it provides uncompromised chemical imaging with diffraction limited spatial resolution while being up to 10x faster than conventional Raman imaging. - The OpenPlex offers a compact and flexible SPRi system, able to simultaneously run fluorescence and electrochemistry experiments with real-time on-screen checks and monitoring. With many other systems and a comprehensive selection of accessories available, HORIBA Scientific has solutions for all your requirements. JPK Instruments AG is a world-leading manufacturer of nanoanalytic instruments - particularly atomic force microscope (AFM) systems and optical tweezers - for a broad range of applications reaching from soft matter physics to nano-optics, from surface chemistry to cell and molecular biology. From its earliest days applying atomic force microscope (AFM) technology, JPK has recognized the opportunities provided by nanotechnology for transforming life sciences and soft matter research. Larodan AB produces phospholipids of high purity for research purposes. From our site at the Karolinska Institute in Stockholm, we provide the research community worldwide with lipids. Laser Lines is a leading supplier of lasers for microscopy, spectroscopy and optogenetics applications. Products include Cobolt's range of compact DPSS and diode lasers, including the new ultra-compact Skyra multi-line laser, and C-FLEX laser light engine. We also offer ultrafast systems from Radiantis and KMLabs, and pump lasers from Lighthouse Photonics, plus power meters & spectrometers. Laser Quantum is a world-class manufacturer of revolutionary solid-state and ultrafast laser systems. Our products lead the industry in performance specifications, reliability, compactness and operational lifetime. They have been used in ground-breaking research, and continue to push the boundaries of science. Our wealth of experience, together with our passionate team, mean we are committed to providing you with a service and laser system that exceeds your expectations. LOT-QuantumDesign are one of the leading European distributors of high-tech instrumentation for scientific, academic and industrial research. Visit our stand to discuss the new Tomocube HT-1 3D Holographic Microscope, a ground-breaking, new microscope designed to let researchers view live and fixed cells using holographic tomography technology. HT-1 delivers quantitative data with high resolution and speed whilst remaining non-invasive. Mad City Labs manufactures since 1999 flexure based nanopositioning systems capable of sub-nanometer positioning resolution, featuring our propertary PicoQ® sensor technology and microscope platforms supporting cutting edge imaging techniques. Our product line covers the entire spectrum of nanopositioning capabilities and we maintain a leadership role in multi-axis stages for high speed optical microscopy, having supplied stages to several leading scientists, including Nobel Prize winners. We provide innovative and practical solutions for today’s demanding biotechnology and nanotechnology applications, like the RM21™, our adaptable microscopy platform which may be configured for a wide variety of microscopy techniques. The RM21™ is an ideal platform for innovative instrument development and single molecule microscopy offering nanometer level stability and extreme flexibility. Possible applications encompass high speed confocal imaging, AFM, NSOM, scanning probe microscopy, fiber positioning, single molecule spectroscopy, single molecule/particle tracking, high resolution optical alignment, SR optical microscopy, sub-diffraction limit microscopy, nanoscopy and lithography. Malvern Instruments provides the materials and biophysical characterization technology and expertise that enable scientists and engineers to understand and control the properties of dispersed systems. Parameters measured by Malvern systems include particle size, shape and concentration, zeta potential, protein charge, molecular weight, mass and conformation, biomolecular interactions and stability, rheological properties and chemical identification. Molecular Dimensions is a world leading supplier for protein structure determination by X-ray crystallography. Our vision is to offer crystallographers the very latest tools for their research and also bring new methods to a broader audience all over the world. Our extensive product line includes: crystallization screens and reagents, bacterial growth and cell culture media, crystallization plates, and specialised crystal growth devices such as Laminex™ for membrane proteins using the lcp method, cryocrystallography tools, sample changer kits, and a range of instrumentation for growing protein crystals. Multi Channel Systems, a division of Harvard Bioscience Inc., focuses on the development of precise scientific measuring instrumentation and equipment in the field of electrophysiology for research groups at universities and for the pharmaceutical industry. We provide solutions for extra-cellular recordings with microelectrode arrays in vitro and in vivo as well as for electrical stimulation. Moreover, we offer devices for automatic injection and intracellular recording of oocyte ion channels. Nanion Technologies is one of the leading providers of automated patch clamp systems. Nanion’s products offer the entire experimental range from single channel recordings to HTS-compatible ion channel screening from up to 768 cells in parallel. Allowing 20,000 data points per day, the SyncroPatch 384PE is unrivalled for high throughput and high quality recordings. Additionally, Nanion provides efficient platforms for transporter protein activity measurements, the SURFE2R instrument portfolio, and impedance-recordings from intact cardiomyocyte networks, the CardioExcyte 96. Nanion now also carries Axion’s MEA systems, the Muse and the Maestro, in Europe and in China. At NanoTemper Technologies, we are passionate about achieving excellence in everything we do. This has made us the partner of choice for thousands of researchers worldwide in pharmaceutical and biotechnology industries as well as in academic settings. Our collaborative approach, science-driven insights, our high-quality, proprietary instruments and analytical technologies focus on helping researchers make the greatest impact - with maximum speed, efficiency and precision. A dedicated team of experts operates globally to offer you and your team individual application support and to ensure maximum instrument capability. Wherever you are, regardless of your focus. NKT Photonics is the leading supplier of high performance fiber lasers and photonic crystal fibers. Our main markets are within imaging, sensing and material processing. Our products include OCT imaging systems, pulsed lasers, such as supercontinuum sources, low noise fiber lasers, distributed temperature sensing systems and a wide range of specialty fibers. NKT Photonics has its headquarters in Denmark with sales and service worldwide. NKT Photonics is wholly owned by NKT Holding A/S. Oxford Instruments Asylum Research is the technology leader in atomic force microscopy. Asylum Research AFMs are widely used in both academic and industrial research labs to characterize polymers, thin films, piezo and ferroelectric materials, cells and biomolecules, and also in emerging fields of research in energy storage and generation, two-dimensional and low-dimensional materials (e.g. graphene and molybdenum disulfide), and mechanobiology. Asylum’s MFP-3D™ and Cypher™ AFMs offer unmatched performance and versatility and are available with a full range of techniques for measuring nanoscale electrical properties and the most comprehensive set of tools for quantitative measurement of nanomechanical properties. Asylum’s MFP-3D family of AFMs includes four different models that span a wide range of applications and budgets. The MFP-3D Infinity™ is the flagship of the family, offering the highest performance, simplest operation, and widest range of capabilities. The MFP-3D Classic, priced for mid-range budgets, provides high performance and versatility that exceeds most AFMs. The MFP-3D Origin is the most affordable model, offering best-in-class performance, many accessories, and an easy upgrade path. Finally, the MFP-3D-BIO integrates with an inverted light microscope to support biological and photonic applications. Cypher is the highest resolution video rate scanning AFM and is available in two configurations, the Cypher S and the Cypher ES Environmental AFM. They provide low-drift closed loop imaging for the highest resolution, most accurate images possible today, >20X faster imaging with small cantilevers, exceptional ease of use, and integrated thermal, acoustic and vibration control. The Cypher ES adds gas and liquid environmental control, temperature control, and enhanced chemical compatibility to the extraordinary performance of the Cypher S. Both models are available with Asylum’s exclusive blueDrive™ photothermal excitation for simpler, more stable, and more quantitative tapping mode imaging. Oxford Nanoimaging manufacture and sell the latest generation of single molecule microscopes, capable of super-resolution imaging through localisation techniques. PIEZOCONCEPT is the leading provider of nanopositioners dedicated to applications such as Super Resolution Microscopy, Optical Trapping and Atomic Force Microscopy. Our customers include many leading scientists engaged in leading edge research at world class universities and institutes. We developed a range of ultra-stable nanopositionner able to meet a wide range of microscopy applications with significant advantages over the currently available nanopositionners. As one of our biggest advantages, the sensor we use has exceptionally high signal, leading to picometric stability. 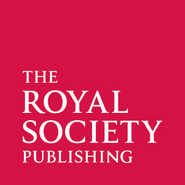 Royal Society Publishing regularly publishes high quality content in the area of biophysics. For more information about the scope and editorial procedures of our journals, please come and visit us in exhibition hall during the conference. Specialists in instruments for transient kinetic and rapid mixing methods.